Michy Batshuayi scored both goals as Belgium overcame Iceland 2-0 on home soil. 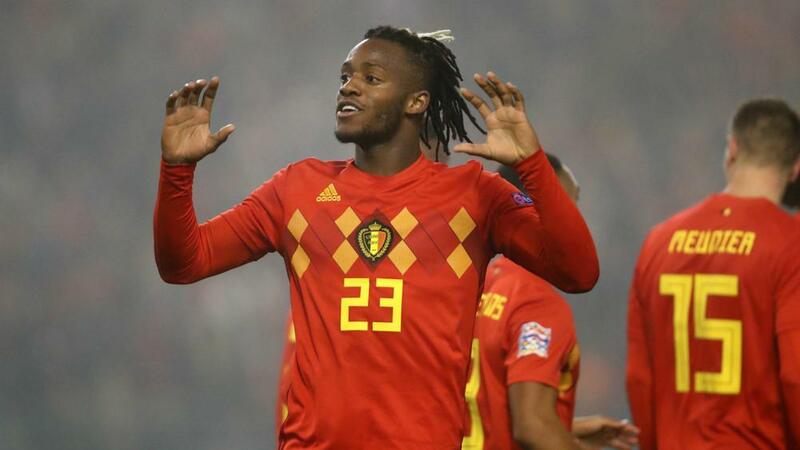 Belgium will take winning form into its decisive final Nations League fixture after Michy Batshuayi scored twice to see off a stubborn Iceland 2-0 in Brussels. While the result has little bearing on either country's finishing position, Roberto Martinez will be relieved to have avoided a second successive draw heading into the crunch clash with Switzerland, that will determine which team advances from Group 2 in League A.
Belgium already needed only a draw from that match but will still boast the mental edge of being three points clear courtesy of Batshuayi's brace. The 25 year-old had to wait until after the hour for Eden Hazard's genius pass to help him break the deadlock before he feasted on a kind rebound to put the match to bed in Axel Witsel's 100th international appearance. Romelu Lukaku's hamstring injury created a starting opportunity for Batshuayi, who struggled to find his range in the opening 20 minutes. That save set the platform for Batshuayi to add the icing in the 81st minute, his second a simple follow-up following Hannes Halldorsson's denial of substitute Hans Vanaken.